Ever get jealous of those little kids in your neighborhood bouncing around on their trampolines all summer? They’re not only having a great time, but they’re getting a pretty good workout as well. No matter your age, you can enjoy the health benefits of jumping on a trampoline, too! 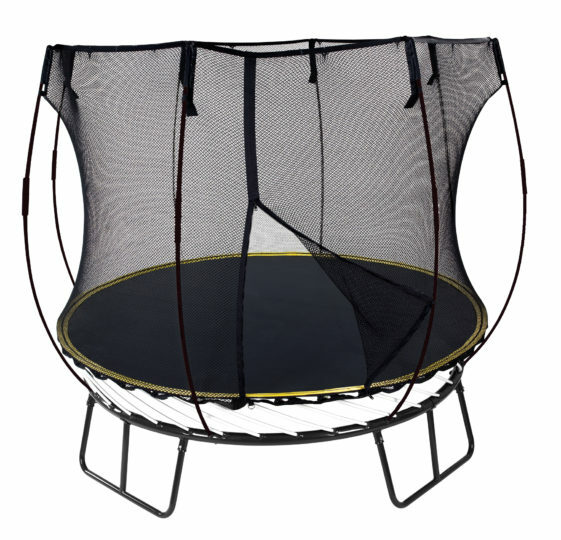 Did you know that trampoline exercise is a fantastic way to improve your cardiovascular health? Jumping on a trampoline for just 30 minutes a day provides a heart-healthy low-impact workout when done at a moderate to vigorous level. It doesn’t take long to get your blood pumping and you’ll have fun doing it! Not only will you get your blood pumping, but you’ll also be getting your lymph system pumping, too. Trampoline exercises are the best physical activity for improving your lymphatic circulation. The lymphatic system is responsible for moving waste and removing toxins, thereby helping boost immunity. During intermittent periods of weightlessness while jumping on a trampoline, the lymphatic system’s one-way valves work more efficiently as they don’t have to fight gravity. The weightlessness is a pretty awesome feeling, but it also helps reduce the impact on your joints. The trampoline mat is super absorbent, unlike treadmills, sidewalks, or roads. Jumping helps strengthen your ligaments and muscles, which results in less overall strain on joints. Jumping on a trampoline can be a great exercise for those who are concerned about their joint health. Another reason joints remain more healthy from trampoline exercise is because jumping improves balance and coordination. Trampolining works your abdomen and back muscles to strengthen your core and promote balance. Your joints will thank you when your balance is improved since the body’s workload is spread out more evenly. There are countless other health benefits to exercising on a trampoline. Experience them for yourself by getting the right trampoline for you! Whether you’re closer to the Sport Court in Minnesota or Wisconsin, we offer several different sizes and options of Springfree Trampolines, depending on your goals and needs. Jump in and discover the joy of trampoline exercise!